Janet Jackson Drops ‘No Sleeep’ Music Video feat. J.Cole – Watch Now! KARMA means action, work or deed; it also refers to the principle of causality where intent and actions of an individual influence the future of that individual. Good intent and good deed contribute to good karma and future happiness, while bad intent and bad deed contribute to bad karma and future suffering–Wikipedia AkA The Hood Bible! We know that Math Hoffa was beaten and defeated by Dizazter, we can say he was jumped. However, as Math Hoffa charged Dizaster, it was a “fair one.” Cameras don’t lie! It was one on one when Math Hoffa was pulverized. We have a soft spot when it comes to forgiveness. We love to believe that the memories have faded and that the issue has resolved themselves, but Karma decided that outcome not us meer mortals. Why is the situation so horrible? Math Hoffa laughed after every event and simultaneously would high-five fans even hurled insults at the rappers he was beefing with out of loyalty for his buffoonery, we stood by and watched. We have one MC that put this street fighting and bullying in the forefront and made this a dent in our progression and an embarrassment and a degrading moment in our history. Could we leave all of this drama behind? I blame VLAD TV you helped put that negativity out there when you decided it was time to make a joke out of an ignorant moment. You did a two-part interview while Math Hoffa gloating about street situations, that should have not been discussed on camera. I am girl and I know that was a weak move. Math Hoffa put it out,jokes to compensate for his antics. I am sorry the battle ended the way it did, but this is the work of Karma and the energy you put out Math Hoffa, determined the outcome. You have ruined battles, sponsors and alliances within the battle world. Rappers like Charlie Clips and Hollow Da Don exchanged words, but apologized. Dizaster and his real life friend, Daylt exchanged words on social media because of the fire you caused. 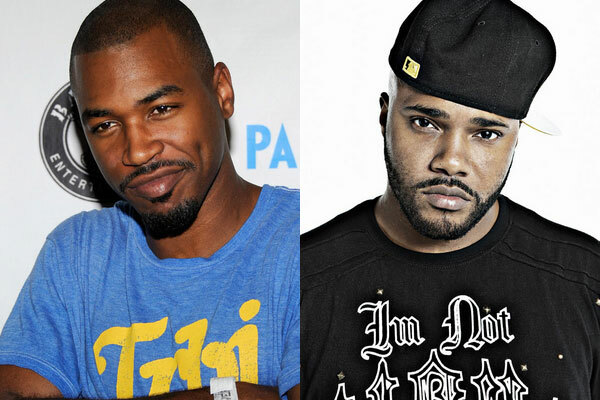 At first after the apology to Serius Jones, he still sent subliminal disses, that are clearly intensifying the beef. Math Hoffa’s arrogance, and bullying are the goon like mentality that can lose venues and sponsors in battle rap. We are portraying the exact stereotypes that Fox News, and Bias news medias all over the world convey to the public. It is a fact that every cause has an effect. I don’t think that Math Hoffa understands that this isn’t even funny anymore, someone will seriously lose something in the end and VLAD TV will have to share responsibility in the effect. Someone could meet their demise because of bullying and ignorance that Math Hoffa’s hypocrisy and taunting finally led up to that he apologized for then later gave a two part video for his fans. You have bars Math but this is not what you will be remembered for and they should have not set you up(If it is true) but you were not a victim. This is no different from when Craig beat Debo in “Friday” because Debo used his strength,weight and antagonizing to cause fear and belittle his opponents. I still can’t believe Dizazter “had jabs like that” but I do not condone and never will condone violence. We watch that brutality but now as a grown man, with your own sons what do you want them to think about your occupation? I will admit that in this case, Math Hoffa was caught off guard, but so are the people that he assaults when he is losing a battle. Dizazter also had screen shots proving that Math Hoffa wanted to slap him,not battle him in fact, that dated back from the year 2012. Retaliation can only make it harder for you in the Rap Game, and you have a family that I know would never want to see you fail. All of this is Karma, Math Hoffa! You don’t have to be remembered this way, but damn you have never been the victim. You should stop with the interviews discussing your assaults,and VLAD TV should stop turning a tragic event into a laughable incident. It is time to think of what you would want your sons and your family and fans to respect about this culture, if you don’t respect it? Math HOffa, I don’t want you to leave battle rap because you have a family to feed, but maybe you finally see what I have been saying for months. It was never funny, and now you fully understand that and you deserve to be a voice of the culture,not a virus of the culture. Which chose are you going to make? Retaliation can only make it harder for you in the Rap Game, and you have a family that I know would never want to see you dead or in prison and neither do I.
XSCAPE is an album of previously unreleased Michael Jackson songs. The album is produced and curated by Epic Records Chairman and CEO L.A. Reid, who retooled the production to add a fresh, contemporary sound that retains Jackson’s essence and integrity. It’s a process Reid calls “contemporizing.” The list of producers include global hitmakers Timbaland, Rodney Jerkins, Stargate, and John McClain. Madonna is the Queen Of Pop and that will never change. Micheal Jackson is the King Of Pop and that will never change. Men have to defend their dignity! They must prove they are willing to protect their boys, families, and their women. I understand that, but I also know that Biggie And Tupac started with a little back and forth, animosity and both are now dead! People want justice to this day and it has been over 13 years since their deaths.Yes, fans and stans nominate themselves as soldiers for the rapper they idolize. In their minds, they have decided to prove their loyalty and how to earn respect. When Tupac died,someone somewhere pulled the trigger, and felt loyalty as each bullet, that hit his flesh! MEMORIES, that’s all the music world was left with, and that footage ain’t nothing but a cautionary tale. MATH HOFFA: You 2 are battle rappers, and you have families, legions of fans, and the YOUTH watching you. What happens, when a 16-year-old, Math Hoffa fan reads into this Twitter War, and peeps Serius in a club, in Florida? What do you think that fan is going to do,if he is strapped or with his boys? He has to show his loyalty, by being a fan to you. He would love to make you proud Math. He thinks you would appreciate something horrible to happen to Serius Jones, and he would have your admiration. He is not going to let that chance pass by to give himself a name I usually laugh off incidents, and say my piece. Math Hoffa this involves, your fans, dignity, sponsors, and ultimately your life. Stop with the subliminal disses, that are clearly intensifying the beef. Men do not travel alone, what happens if you have to go explain to someones mom, they need to pick a casket, because 2 Kings misplaced their crowns? I don’t want either one of you to keep this up, because you were wrong, no debating. You had no reason to hit any of the men you battle. You have talent, some people say you don’t because of your arrogance, and bullying. They are lying, you have talent and everyone secretly knows that and that is why they are disappointed in you and your actions. Our culture is loosing the prominent and lasting respect it once had, and now we are looking like dangerous hoodlums. We are portraying the exact stereotypes that Fox News, and Bias news medias all over the world convey to the world,have given the of our men being 6 feet deep, and their baby’s mom’s forced to get the system to take care of them. I want you to live, and to become a grandfather. This is so real Math, I don’t think the next person who even has beef with you, won’t fight you will lift with their fist, they will lift up a gun. You are a proud father, and are in love with a beautiful, and talented woman. It is a fact that every cause has an effect. I don’t think that you understand, how this isn’t even funny anymore, someone will seriously loose something in the end. I want you to live, and I am so sick of seeing R.I.P on these damn shirts, and single mothers telling there sons leaning over a casket mumbling, “Say Good Bye To Your Daddy.” I love the culture of battle rap, but you two have to stop. You don’t have to be friends, but you are not monkeys. All the proud men that wanted to show they were not weak, now have obituaries. SERIUS JONES: I personally think that comment sections on WorldStar and Youtube that made fun of the incident, intensified your anger. I have always enjoyed your music and battles. I am a battle rap junkie, and know you didn’t say too much about the incident, but it would stay off camera. Nothing you say or do now can change that moment, it happened. Math Hoffa was completely wrong but you have to let it go. Sometimes, fans boost situations to escalate incidents. Magazine outlets did the same exact thing with Biggie and Tupac, and how did that end? I want you to imagine how volatile this situation actually is , and I understand that Math Hoffa continues to rep Pac saying he drink “Pac-Juice: but continually acts like the Suge Knight of battle rap. He violated street codes, and your personal space and you have your reputation in the streets By any means necessary, you want to make sure this NEVER happens again. It is never right to put your hands on anyone for no damn reason,and just walk off stage. He blamed food, Smack, and every other factor of that event that night, but himself. I have seen great lives gone, because of the street mess. Some corpse mutilated on purpose to make sure it would be a closed casket funeral. I am sure you have witnessed this same horror.I doubt, you two will ever be friends. No one is saying you have to be friends at all, but now this 5 minute moment is getting too many people involved. THAT FOOTAGE SHOULD NOT HAVE BEEN LEAKED, and that person is partially to blame for this on going battle. You were violated, but you lived. The first thing after the punch you did, was go into damage control, and post your face to prove a point. Math Hoffa did not knock you out.Some internet trolls, couldn’t dead that issue, and every mention of the event reminded you how messed up that night ended, for no damn reason. You have to understand that even with 5 more fights on cell phones it will not change what happened that night. I can’t imagine how it felt when that Summer Madness clip came out, and how you felt you had to retaliate. You are taught to defend your name and honor, as a man. You better than this, and Math is too! The culture needs you two, and you don’t need to be 6 feet deep. Fans, trolls, and entourage members stop boosting the drama, people’s lives our at stake! Math Hoffa probably won’t ever hit anyone again in a battle, and he never have done it in the beginning. Maybe, if people didn’t laugh at his antics, his ego would have taken a back seat to his talent. Math Hoffa, doesn’t need to leave this world, and neither do you! We as a culture, have a permanent stain, in the battle world, and Serius it is not because of you! You are a legend, and this is beef is not part of your legacy, and I don’t want to hear you or him lost one of your boys, because of this culture annihilation. T.I. still regrets what happened to Big Phil, and you and Math would feel the same if you lost one of your soldiers for a 5 minute incident,and 30 seconds via cell phone.You both want to have respect, I would rather both of you alive.